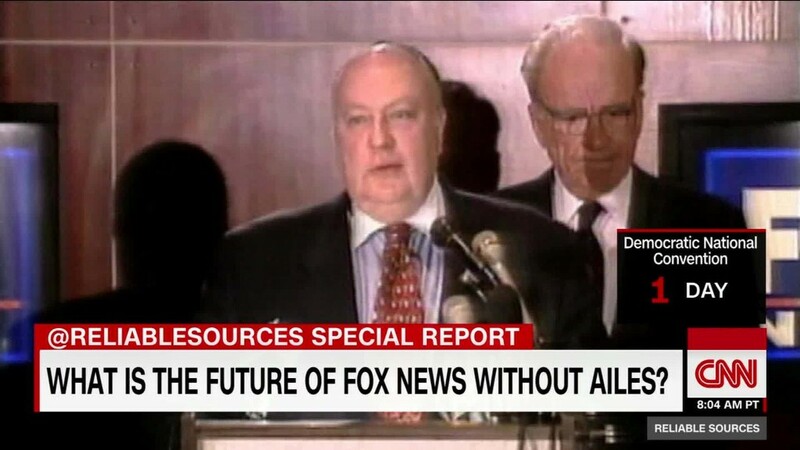 What exactly is Roger Ailes' role with Donald Trump's run for president? "He obviously has no formal or informal role with the campaign, but Mr. Trump speaks to many different people," Trump's new campaign manager, Kellyanne Conway, said on CNN's "State of the Union" Sunday morning. Host Dana Bash had asked if Ailes is "actively advising Donald Trump at this point." By saying Ailes has no role with the campaign, Conway was threading a needle. Ailes is giving advice to Trump directly, according to reports from multiple outlets, including CNN, but not giving advice to the campaign. The distinction is significant because Ailes is a subject of controversy. The former Fox News chief is a legend of television producing and Republican political campaigning. But he was forced out of his role last month amid a sexual harassment scandal. One former Fox News anchor, Gretchen Carlson, is suing him, and other women have come forward to accuse him of harassing behavior. He has denied the allegations. CNNMoney reported that Ailes and Trump were together at Trump's golf course in New Jersey last weekend. And The New York Times reported on Saturday that Ailes reviewed several potential Trump ads for the candidate. Conway said Sunday that the two men are "old friends." "Roger Ailes is a genius when it comes to television, when it comes to communicating with people, but so is Donald Trump," she said.